Attorney General Jeff Sessions has resigned, effective immediately. 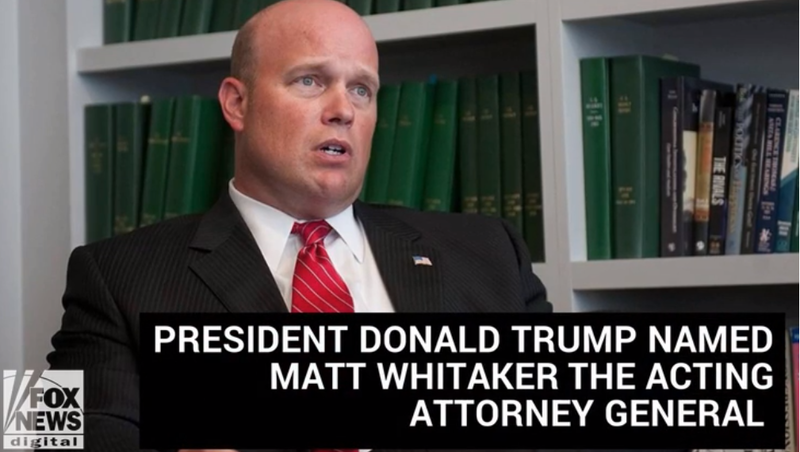 In his place will be Acting Attorney General Matthew Whitaker. Democrats are already threatening the President if he dumps Mueller. 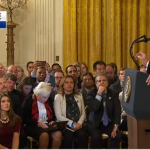 And they are demanding that Whitaker recuse himself from the investigation as Sessions did. Sessions crossed into difficulties with Trump right off when he recused himself from the Russian investigation, which led to the chain effect of leaving Rosenstein to run it, and Mueller to be appointed…it was a giant sized pain for the President. Fox reported that Whitaker is known as someone who was unhappy with the way Sessions ran the DOJ. He suggested that a real attorney general wouldn’t have to fire Mueller, just cut off the funds to his investigation until he had to stop it. …Matt served as the US Attorney for the Southern District of Iowa from 2004-2009, appointed by President George W. Bush. He has worked for the law firms of Finley Alt Smith in Des Moines and Briggs & Morgan in Minneapolis. In 2002, Matt was the Republican nominee for Treasurer of Iowa. Matt received his undergraduate degree in communications from Iowa in 1991 and his law degree and MBA from Iowa in 1995. He played football for Iowa (lettered three years at tight end) and was named Academic all-Big Ten in 1990, 91 & 92, was Academic All American in 1992 and won the prestigious Big Ten Medal of Honor in 1993. If you haven’t checked out and liked our New Facebook Page, go there and throw us a “like.” Thank you!